The VEI difference is the quality of the senders. VEI Systems designs and manufactures some of the most advanced digital electronic vehicle monitoring systems in the world today. Utilizing advanced engineering techniques, microprocessors, digital and analog technology, our innovative instruments provide far better accuracy, features, and usability than has been available to date. 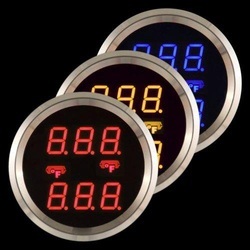 Our gauges and data-loggers are proudly made in the USA. Yes, that means that they’re designed and engineered in the USA, and are then built and tested in the USA! V1 Instrumentation — Features The features available on the V1 series of instruments are what makes it so intelligent. These features assist in providing accuracy, readability, proactive alerts and customization to your preferences. This section lists the various features available. Note that not all of these features are applicable to all instruments. BARGRAPH The solution to the age-old battle between analog and digital instruments — the 180-degree LED bargraph provides the precision of digital/microprocessor-controlled electronics with the ease of reading and interpretation of analog meter movements. Every one of our sensor-based instruments has this feature. Where applicable, the scale of the bargraph is also user-settable for maximum resolution within the vehicle’s normal operation range. BI-DIRECTIONAL BARGRAPH On some instruments, where a center-point demarks a difference in operation mode, the bargraph will operate bi-directionally. 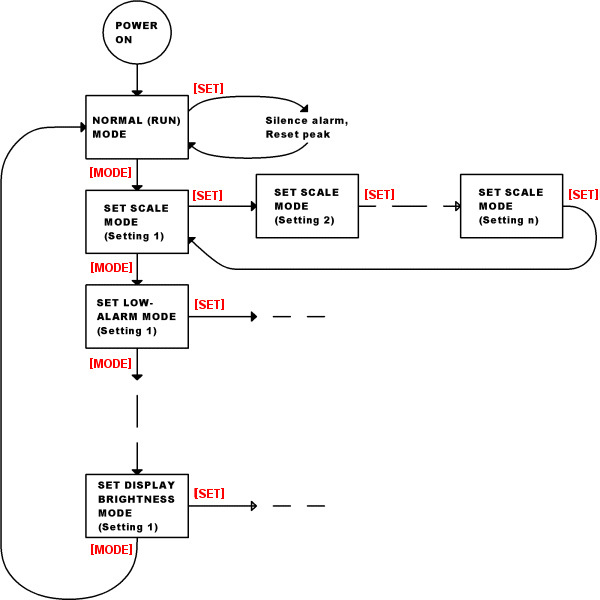 This makes it easier to interpret operation mode, and doubles the bargraph resolution. 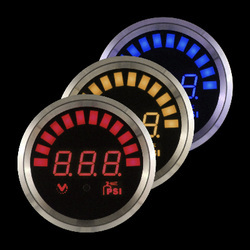 As an example, on the V1 vacuum-boost gauge, vacuum is indicated by counter-clockwise operation of the bargraph, and boost by clockwise operation. NUMERICAL DISPLAY In addition to the bargraph for ease of reading and interpreting the display, the numerical digits provide an accurate value of the measured parameter. DUAL-MODE DIMMER All of our instruments have dual user-settable display dimmers for night vs. day operation in order to customize the display for most comfortable viewing. The night intensity becomes active when the park lights are switched on. BARGRAPH PEAK From a safety standpoint, perhaps the worst time to be staring at the gauge to identify a maximum operating value is when it’s actually making the maximum values, as that is usually when the vehicle is operating in a high performance situation. Yet those are the critical operating extents that need to be defined. With the peak feature on the bargraph, the maximum measured value achieved is recorded and identified by leaving that bargraph segment on, until manually reset with a simple button-press. This feature may may enabled/disabled as required. ALARMS (UPPER & LOWER) Instead of perpetually scanning the instruments to detect a possible problem with vehicle operation, why not let the instruments proactively notify you when/if an operating threshold has been reached or exceeded? The upper and lower alarms will alert you with an audible continuous beep and a flashing display. The alarm threshold points are user-settable to points that are meaningful to the specific vehicle, or may be disabled. There is also a start-up alarm delay to prevent false triggering before the engine parameter comes up to normal operation range. Note that some instruments have no alarm, one alarm only, or two alarms (upper and lower) depending on the instrument function. MODE: To change configuration mode, press and hold the button until the display changes, then release. This should be at least 1 to 1.5 seconds. SET: To change the setting within a configuration mode, press the button and release it quickly, as if tapping a key on a keyboard. The setting will change to the next available, as will be shown on the display. For instruments equipped with a peak feature on the bargraph, pressing the button quickly during normal operation will clear the recorded peak value. For instruments equipped with an alarm, pressing the button quickly during normal operation will silence the alarm buzzer, though the display will continue to flash until the error condition has been corrected.